Eliminating the estate tax and offering write-offs for companies that move their manufacturing plants to the U.S.
Take a look at the impact this tax plan could have on businesses, the national deficit, and arguably most importantly, your wallet. 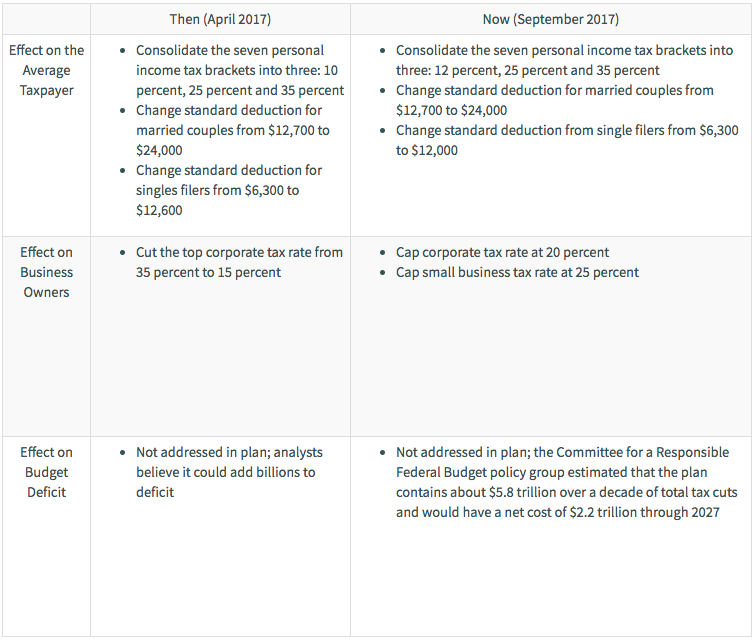 In April 2017, Trump announced his original tax reform plan, and while many of the tenets of his original proposal have remained the same, there have been some changes. Under the new plan, the lowest tax bracket would contribute 12 percent in personal income tax — a small jump up from the previous contribution of 10 percent. The proposal for the standard deduction for married couple remains the same, but the standard tax deduction for single filers has increased. In addition, Trump has raised his proposed corporation tax rates from 15 percent to 20 percent. Right now, personal income taxes are broken up into seven tax brackets, but Trump has proposed consolidating the income tax brackets into only three — though his plan allows for the congressional committee to add a fourth bracket for higher incomes. Currently, the top earners pay 39.5 percent in taxes — Trump’s proposal would give high income earners a tax cut, slashing their contribution to 35 percent. 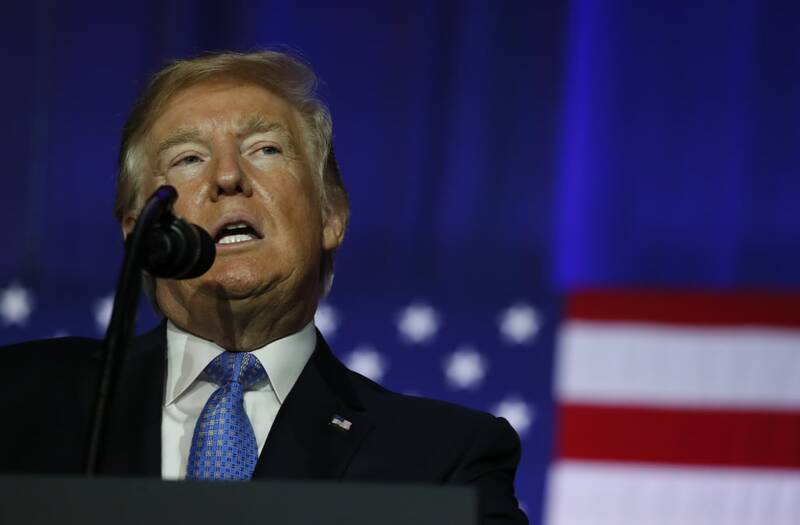 Although income ranges have not yet been specified under Trump’s new plan, the three different income brackets will pay 12, 25 or 35 percent in taxes. This new distribution raises the tax contributions for the lowest income earners and lowers contributions for those in the highest tax bracket.